Hey, I'm Jeff, your Franchise Account Manager from Intuit! We partner with franchisors to provide discounts on small business accounting products and services so franchisees, like you, can run your business seamlessly. See what exclusive discounts we're offering! Send invoices, reconcile accounts, run payroll, and more on your phone. Already using QuickBooks Online or Desktop? If you’re a current QuickBooks Online user, we’ll apply the perpetual discount. Just let us know your company ID in the sign-up form. 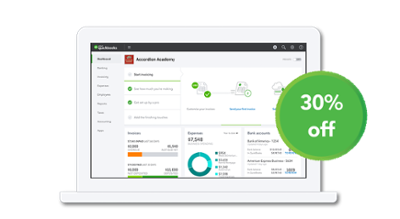 If you’re using QuickBooks Desktop, we’ll help you set up your new QuickBooks Online subscription, instruct you on how to migrate your accounting data, walk you through how to use the new accounting service, and upload your chart of accounts. 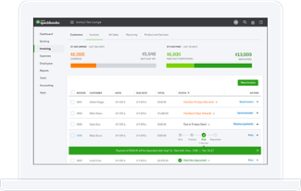 QuickBooks auto-updates invoices and reconciles fees and deposits, helping keep books accurately balanced with no extra effort. Auto-debit your client’s bank account and get automated monthly payments through QuickBooks. Accept checks, bank transfers (ACH), Visa, MasterCard, American Express, and Discover. Add on a card swiper so you can start collecting chip card payments from anywhere. Secure payment technology to protect you and your customers. Sign up now and we’ll get back to you in 1-2 business days. What franchise are you apart of? (Trial and) Discount offers are valid for new QuickBooks Online subscriptions only. You may cancel the trial at any time during the trial period. After the trial, receive the 30% discount off the current list price for the service you selected. You can cancel your subscription online in product or by calling (800) 624-1377. QuickBooks Online Essentials includes 3 user licenses. QuickBooks Online Plus includes 5 user licenses.